On the 30th of January 1649 King Charles I of England was beheaded – the first and only English monarch to be executed for treason. The King did not recognize the court and refused to defend himself. In the end the court passed judgement. The execution occurred on 30th January. Charles was allowed to go for a last walk in St James’s park and then ate a final meal of bread and wine. The original exceutioners refused to undertake the act but in the end two anonymous men were paid £100 and were allowed to wear masks. At 2.00 o’clock, the king was led to the scaffold. It was a cold day and he asked to wear thick underclothes as he was worried that if he shivered in the cold, the crowd might think that he was scared. Charles gave a last speech but very few people cold hear his words. He was then beheaded. A loud groan went up from the crowd when he was killed and there was a terrible fear that the nation was drawing the wrath of God upon them. However, this did not stop many in the crowd paying to dip cloth rags in the blood of the dead man – a feeling that the blood of a king being powerful still prevailing. Soon afterwards the Commonwealth abolished the position of king. Now we wind forward 12 years to 1661. Charles II has returned and with the restoration of the monarchy there was a general amnesty on the opponents of Charles I as part of the agreement of Breda that allowed Charles II to come back. There was ONE major exception to the amnesty. 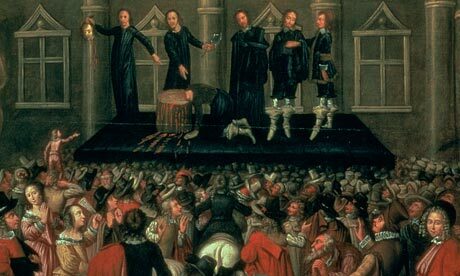 Any man who had signed Charles I’s death warrant or been involved in the execution was a regicide. Charles II demanded that these men die. Of the original men involved actually only 13 were executed. Others were imprisoned and many fled abroad to live out their lives in exile. Four men had died before the restoration. These were dug up and ritually hung. The most famous of these was Oliver Cromwell himself who had been the architect of the defeat of Charles I and Lord Protector during the republic. The day chosen for this act of revenge was the anniversary of the execution of Charles I – the 30th of January 1661. 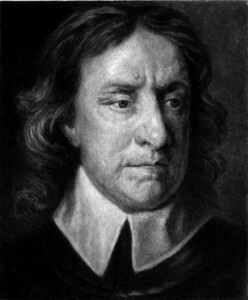 Cromwell’s body was exhumed from Westminster Abbey, and along with that of Robert Blake, John Bradshaw and Henry Ireton was hung in chains at Tyburn. Later his head was displayed on a pole outside Westminster Hall until 1685. If you are interested in this subject then you might care to know about a new exhibition at Banqueting House, London: http://www.hrp.org.uk/BanquetingHouse/WhatsOn/charlesiexecution. Westminster had its own shops and in Westminster Hall there was a market. The boys at his school would often go there and spend their pennies on books, sweets, trinkets and toys. Ben had been many times and even the decapitated head of Oliver Cromwell, mounted high up on its roof, did not interest him anymore. Although it had been a curiosity of morbid fascination when he had first arrived at the school, he had seen it so often that he barely glanced at it now. Ben had a more distant destination in mind in his search for something distracting.